Writer and producer Scott Nimerfro has died at the age of 54. 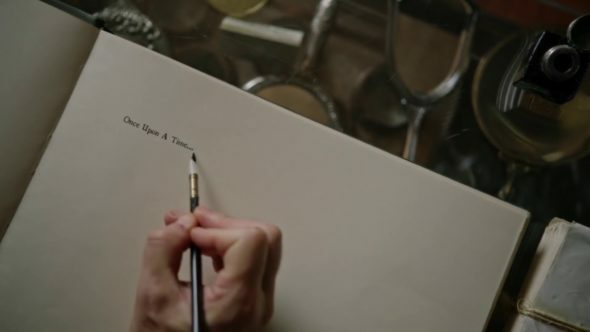 A co-executive producer on ABC‘s Once Upon a Time TV series from 2014 to 2016, Nimerfro is credited for writing three episodes in the fourth season: “Breaking Glass” (with Kalinda Vazquez), “Shattered Sight,” and “Heart of Gold” (both with Tze Chun). Mr. Nimerfro wrote and produced many cancelled or ended series, including Hannibal, TRON: Uprising, Ringer, The Gates, Pushing Daisies, Perversions of Science, ‘Til Death Do Us Part, The Outer Limits, and the original Tales from the Crypt TV show, which is being revived by TNT. Nimerfro had been diagnosed with Angiosarcoma and discusses living with the illness, here. The Hollywood Reporter (THR) confirmed his death with a representative at the WME agency. Nimerfro got his start in the business as a production assistant on the 1987 film, Planes, Trains & Automobiles. He began his writing career as a story supervisor in 1993 on Tales from the Crypt. He would go on to pen 11 episodes of the classic horror series. We invite you to share your memories of Mr. Nimerfro and his work, below. More about: 'Til Death Do Us Part, 'Til Death Do Us Part: canceled or renewed?, Hannibal, Hannibal: canceled or renewed?, Once Upon a Time, Once Upon a Time: canceled or renewed?, Perversions of Science, Perversions of Science: canceled or renewed?, Pushing Daisies: canceled or renewed?, Ringer, Ringer: canceled or renewed?, Tales from the Crypt, Tales from the Crypt: canceled or renewed?, The Gates, The Gates: canceled or renewed?, The Outer Limits, The Outer Limits: canceled or renewed?, TRON: Uprising, TRON: Uprising: canceled or renewed?